Garden Furniture Kent TENTERDEN GARDEN CENTRE is located on the B2080 3 miles out of Tenterden (TN30 7HT). CANTERBURY GARDEN CENTRE is located on the A291 Cantebury Road at Herne Common, Near Herne Bay. 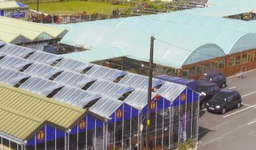 Tenterden Garden Centre and Cantebury Garden Centres are two of Kents Premier Garden Centres stocking a wide selection of plants, garden furniture, cane suites, stoneware, compost and garden tools and sundries. Large Restaurants / Coffee Shops are available at both centres, plus Sheds and Summerhouses, along with Aquatics and Conservatories at Tenterden. We also import and stock a large range of Garden Furniture including Garden Patio Sets in Polyethelene Weave, Aluminium, Teak and other materials, along with Swing-Seat Hammocks, Sunbeds and Sunchairs. Roses, Trees & Shurbs We stock an exstensive range of garden plants including Trees, Shrubs, Herbaceous Perenials, Conifers, Clematis and Climbing Plants, Alpines Heathers and more. Plus Roses including David Austin varieties and special occassin roses. Specialist Services Check out our delicious food in a peaceful atmosphere. At Planters Café / Restaurant,Tenterden, and Ferns Kitchen Café, Canterbury, we source good local produce where possible. Our menu consists of good wholesome food, well prepared. Tenterden and Canterbury Garden Centres - Two of Kents Premier Garden Centres OUR INTERNET PRICES AVAILABLE on all GARDEN and CANE FURNITURE In Store. 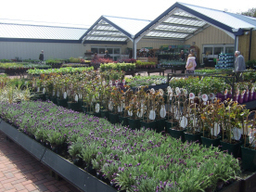 Tenterden Garden Centre is situated on the B2080 Appledore Road 3 miles out of Tenterden. we have a large Restaurant as well as a large Aquatics and Pet Centre. We have a massive range of Quality Durable Garden Furniture which we Import ourselves to bring you the best possible prices. The centre also has a large, partly covered, plant sales area, a big display of Pots,Ornaments and Statues and well as Compost, Garden Sundries, Gifts and more. From October to December we have a massive Christmas Display with Father Christmas on site at Weekend running up to the big day.